Thank you for visiting and reading ManagingCommunities.com. This is a special message for those who subscribe through the RSS feed. If you are an email subscriber, you do not need to update your subscription. I wanted to address this before it became a real issue and, as such, have moved my RSS feed to another provider. To that end, I would like to ask you to please delete your old subscription and subscribe to my new feed URL. As a small aside, ManagingCommunities.com is now on Google+. If you are active on that network, please consider circling my Google+ page. Just an FYI, I couldn’t subscribe using the feed URL linked in this post. Firefox wouldn’t recognize it as a feed. 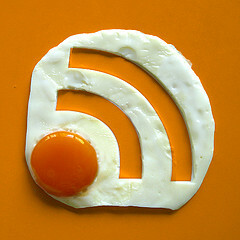 I had to get a slightly different URL, which I found using the RSS icon on the linked feed page. Thanks for letting me know, Jeremy. I am going to email the company and let them know. Sorry that you had that trouble.